C.O.D. Casino maintains the character of the historic C.O.D. Garage and the comforts of a great casino. This property does not offer accommodations. Start planning your adventure with our free, full-color guide featuring helpful information, events, and attractions throughout Carson Valley. Sign up today for Carson Valley news, special offers, announcements & more! 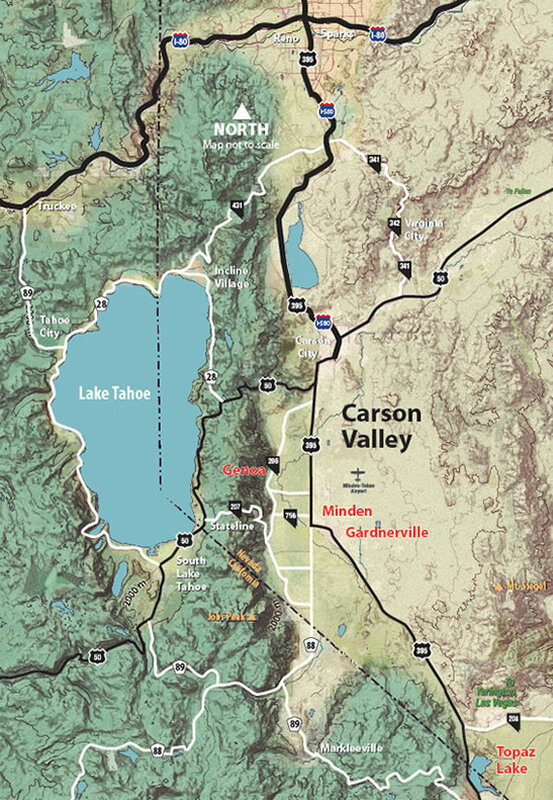 Contributor agrees to surrender all usage rights to the Carson Valley Visitors Authority for use in print and online advertising and marketing. Carson Valley Visitors Authority may edit supplied comments if appropriate. The Contributor represents and warrants that he/she is the sole author(s) or holds sole rights to the Work, that the Work is original, and that no one has reserved the rights granted in this agreement. The Contributor also represents, to the best of his/her knowledge, that the Work does not contain any libelous material, and is not in violation of any rights of privacy or any other rights of third persons, and does not violate any existing common law or statutory copyrights, and has not been published before in any form that restricts its publication in advertising materials. The Contributor shall hold CVVA harmless and agrees to indemnify CVVA against any allegations that the work contains libel, plagiarism, and/or invasion of privacy regardless of whether the allegations are settled (with or without an admission of liability) or a final judgment is rendered by a court of competent jurisdiction. The Contributor must secure all necessary permissions to reprint any previously published material in the Work, and must forward all permissions documentation to the CVVA. I understand that this is an initial application of interest for and not a commitment or promise of volunteer service. I certify that I have and will provide information that is true, correct, and complete to the best of my knowledge. I certify that I have and will answer all questions here or during my interview to the best of my ability and that I have not and will not withhold any information that may unfavorably affect my application for a volunteer position. I understand information contained herein will be verified. I understand that a background check may be run before I begin my volunteer service. I understand that misrepresentations or omissions may be cause for my termination as a volunteer/intern. Join Over 7,000 Adventurers Like You! Sign up today for Carson Valley news, special offers, announcements and more!